This absolutely gorgeous druzy is beyond description!! The stone is a deep dark navy blue. 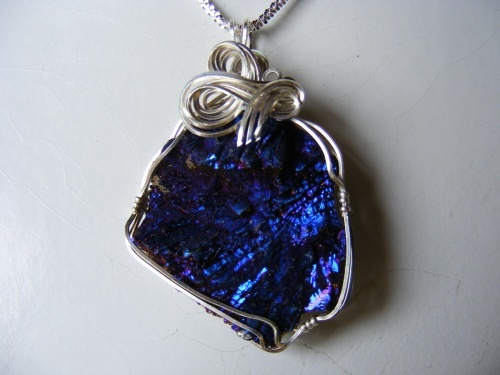 I wrapped it in argentium silver with beautiful bow like curls to just add enough to it to make it pop. Piece measures 2" top to bottom and comes with a sterling silver chain.